There are hundreds of outrigger canoes found throughout Hawaii and Polynesia. Based on historic wood designs, the boats now are commonly constructed from fiberglass. Each boat has unique characteristics, shape, personality, and history. Outrigger canoeing is the most popular sport in Hawaii. Boats range in size from single-person to six-person teams. Annual and quarterly races are held throughout the islands. You can see teams practicing in the near shore waters most days around sunrise or sunset. The sport’s popularity has led to the establishment of several long-running canoe clubs–groups of teams that meet, practice, and share boats together. 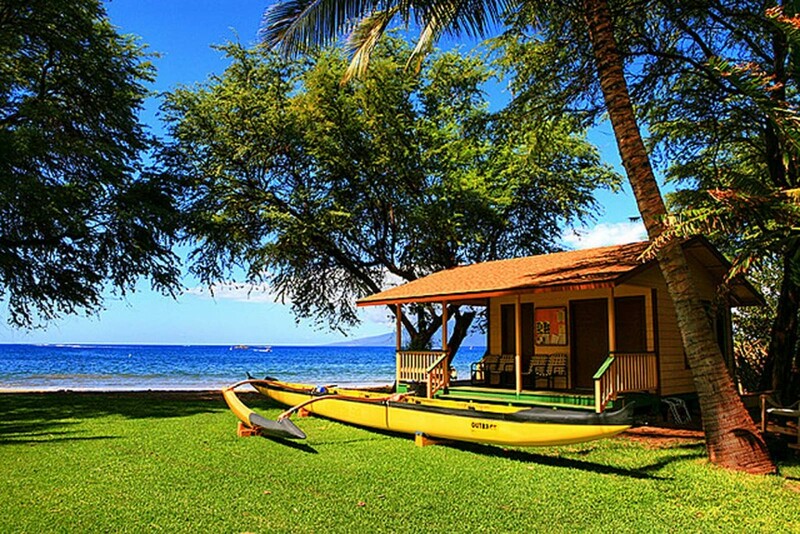 Pictured here is an OC6 wa’a (outrigger)–a six-person outrigger canoe–in front of a club house in West Maui.